Children of all ages enjoy making heart crafts, especially if the project is a gift for Mom, Dad or a grandparent. The easy heart crafts for preschoolers we’ve designed for young makers are simple enough for a toddler to tackle with a bit of guidance, and will entertain crafty kindergarten age kids, too. Learn how to make a fast, frugal easy heart crafts with children, using recycled materials from around the home. Decorate paper doily hearts with yarn, cutouts, glitter and stickers. Paper doily hearts are a traditional favorite for making Valentine cards. My granddaughter made this sweet laced doily heart craft for me when she was 2 years old. The finished craft pictured is a simplified version of the easy paper doily heart project. 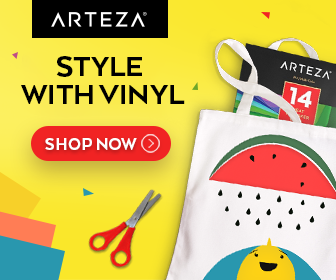 Toddlers will probably need help punching holes and lacing; you can prepare the punched lacing holes ahead of time for your very young crafters. 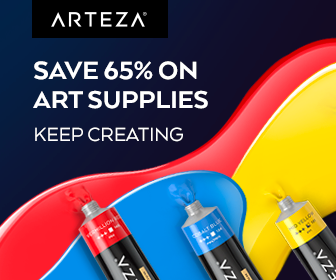 Arteza offers fantastic deals on top quality arts and crafts supplies and tools. Punch a series of evenly spaced lacing holes through the heart shaped doily, along the edge of the solid center part of the doily as shown. Lace yarn or ribbon through the holes then tie ends in a bow on the front. Decorate the white space inside the laced heart area with paper shapes, stickers, glitter and sequins. 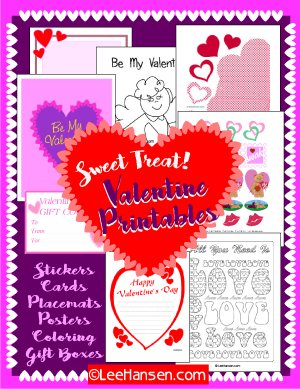 Choose one heart craft as a simple art activity, or have your little maker create several projects for a special occasion such as Mother’s Day, Father’s Day, Grandparents Day or Valentine’s Day. In our family, the kids make these cute simple heart projects as Valentine window decorations, Christmas ornaments, and very special birthday gifts. I made these cute heart craft ornaments with my toddler granddaughter for Valentine’s Day before she was 3 years old. We used recycled materials to make our tissue paper hearts: leftover gift wrap tissue from Christmas, cereal box cardboard, and scraps of embroidery floss. With just a little bit of help from you, a two year old can craft this easy heart paper craft ornament for Valentine’s Day or Mother’s Day. You might even want to make these tissue paper heart ornaments for Earth Day – they’re a green craft, made from recycled materials: cereal boxes, strings and gift wrap tissue. Cut out simple cardboard heart shapes about 3″ to 5″ tall from the cardboard cartons. Make as many hearts as you’d like ornaments, in varying or same sizes. Tear the colored tissue paper into bits about 1 inch square. Allow about a handful of tissue bits for each heart. Cut a 12-inch length of string, ribbon or yarn. Fold in half to create a loop and use masking tape to secure the ends to the blank cardboard side (unprinted side) of each heart. Spread a coat of white (or pink, or red) paint on the printed side of each cardboard heart. While the paint is still wet, press random tissue paper bits onto a heart. Don’t press down too much, just enough to make the tissue stick to the cardboard heart. The paint will act as glue. 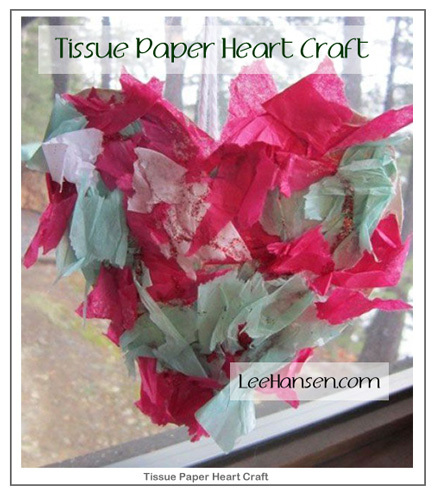 Cover the entire heart with tissue bits then set aside to dry for a few hours or overnight. After the tissue covered hearts are dry, squiggle on some swirls of glitter glue over each heart. At this point you can add a few more bits of tissue paper or sprinkle on some extra glitter. Allow hearts to dry again (we let ours dry overnight), then hang them in the window or on a door knob. Read about these hearts and other Valentine Crafts at Review This Reviews.